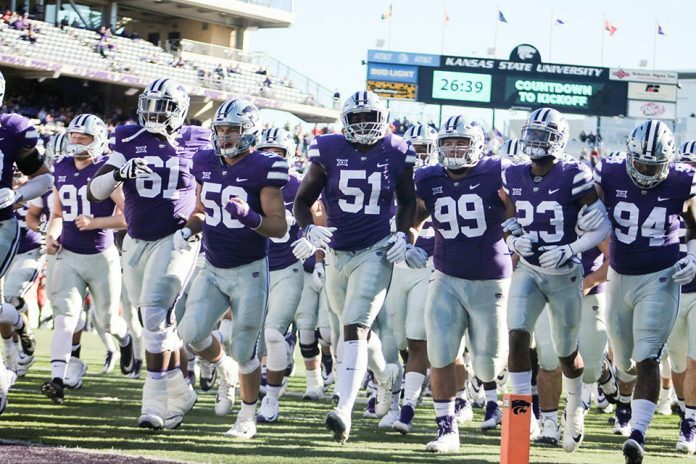 After a long off-season, the Kansas State football team will hit the field Saturday night. Fans and media alike have predicted how the Wildcats will fare in head coach Bill Snyder’s 27th season. I will evaluate the outcome of each regular season game, including some specific predictions for the team and players. It has almost become a tradition for K-State to open its season against what some would call “cupcake” teams. In 2016, the Wildcats opened at Stanford. They do often play Power Five conference teams in the second or third games, but typically not in the opener. This year, the Wildcats will open against the University of South Dakota. The Coyotes are at the Football Championship Series, or FCS, level, which is lower than K-State, but they are not the worst of the worst. South Dakota made the FCS playoffs last season, defeating No. 22 Nicholls State in the first round. They fell to No. 5 Sam Houston State in the second round though. 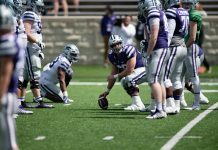 K-State will still be trying to figure out its starting quarterback — redshirt junior Alex Delton and redshirt sophomore Skylar Thompson are both bound to play a significant amount in the opener. The depth of the running back stable will show and we will all still have no idea who the starting quarterback is for K-State. Duke Shelley will return a kickoff for a touchdown in his first game as a starting kick-returner. Prediction: K-State wins the season-opener, 41-13. For the second straight year, K-State will play an SEC team. This Mississippi State team is arguably better than the Vanderbilt team that K-State lost to last September. The Bulldogs are led by senior quarterback, Nick Fitzgerald. Fitzgerald is a dual-threat force, rushing for 984 yards and 14 touchdowns in 2017, while throwing for 1,782 yards and 15 touchdowns. Fitzgerald must sit out the Bulldogs’ opener versus Stephen F. Austin due to a violation of team rules, so he will be hungry to get his season started against the Wildcats. The Mississippi State matchup will be a big test of how tough this year’s Wildcat defense is, being tested both on the ground and through the air. Delton will take the reins of the offense, scoring two rushing touchdowns and one through the air. Alex Barnes will score a 60-yard touchdown run as well. Prediction: K-State upsets ranked Mississippi State, 31-28. K-State should not have any trouble with UTSA, who went 6-5 and just 3-5 in the Conference USA last season. Delton and Thompson will get to play again in a less competitive game. The offense will perform well all-around, while the defense doesn’t give up a touchdown and scores one of its own. Although Oklahoma is the defending conference champion, West Virginia is one of the more formidable teams in the Big 12. The Mountaineers return senior quarterback Will Grier, along with senior wide receiver David Sills V. Sills caught 18 touchdowns last season, while Grier threw 34 touchdowns and 3,490 yards. K-State’s secondary will be heavily tested in this one. It seems like the Wildcats tend to play the Mountaineers very close, but the K-State defense won’t quite be able to stop the offensive firepower of West Virginia. Prediction: K-State loses its first game of the season, 27-20. K-State should be eager to beat Texas this season, after losing in overtime in Austin last season. The Longhorns have yet to fully reach the heights they once performed at. The Wildcat passing game will be on full display against the Longhorns. Dalton Schoen and Isaiah Zuber will each catch a touchdown as Skylar Thompson cements himself as the starter. Baylor might be rebuilding, but it still has plenty of talent. Sophomore quarterback Charlie Brewer along with senior receiver Chris Platt and junior receiver Denzel Mims will provide plenty of attack through the air. Former Tennessee Volunteer running back Jalen Hurd also joins the Bears as a receiver for his final year of eligibility. K-State’s secondary will show its mettle in a new era with new secondary coach Brian Norwood, while Alex Barnes has a career-best 200 rushing yards accompanied by two scores. Last season, K-State upset Oklahoma State in Stillwater in one of its best offensive performances of the season. The Cowboys must replace iconic quarterback-receiver Mason Rudolph as well as James Washington. However, their offense is built for quarterbacks to thrive. Returning wide receivers Jalen McCleskey and Dillon Stoner will provide redshirt senior quarterback Taylor Cornelius with plenty of help. Junior running back Justice Hill led the Big 12 in rushing yards last season and will be an offensive asset for the Cowboys. The Wildcats will have another tightly contested, high scoring battle with the Cowboys. Duke Shelley will return another kick for a touchdown, and the defense will force three turnovers to secure the win. The Wildcats will travel to Norman riding a three-game winning streak and a 5-1 record to face the defending Big 12 champs. Oklahoma must replace last year’s Heisman Trophy-winning quarterback Baker Mayfield, but will have had plenty of time to get it figured out by the time Oct. 27 rolls around. Sooners quarterback Kyler Murray will take advantage of the K-State defense in this one, throwing for 250-plus yards and two scores, while rushing for two more. K-State puts up a fight, but can’t outlast the Oklahoma offense. Prediction: K-State falls to the Sooners, 38-24. 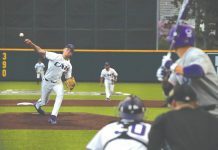 The Horned Frogs were one of the best teams in the country when they came to Manhattan a season ago. Despite losing last year’s starting quarterback in Kenny Hill, TCU has plenty of weapons around new starter Shawn Robinson. The Wildcats will have a strong performance on the ground game, rushing for over 300 yards, and keep the score low, but TCU will make plays when it needs to and defend its home turf. Another year, another Sunflower Showdown. K-State has dominated the rivalry with Kansas on the gridiron, having won the last nine games since 2009. Last year’s edition of the rivalry was competitive in Lawrence. The Jayhawks will improve this season and might win a couple games, but the Wildcats won’t drop one to its rivals at home. Skylar Thompson registers 300-plus total yards of offense and four touchdowns. Prediction: K-State dominates Kansas, 45-10. K-State eked one out in overtime at Texas Tech in 2017. In 2016 in Manhattan, the game went down to the wire, with former Wildcat linebacker Charmeachealle Moore hitting former Tech quarterback Patrick Mahomes before he could launch a “Hail Mary” pass as time expired to seal the K-State victory. The Red Raiders will probably always have a high-powered offense, but the real question is if the defense will make the big plays necessary to keep the opponent off the board. K-State will show off its backfield depth in this game, with all three running backs — Barnes, as well seniors Justin Silmon and Dalvin Warmack — getting a touchdown. Prediction: K-State cruises past Tech in a low-scoring, yet controlled game, 27-13. The Wildcats have won 10 straight versus the Cyclones. Last season’s contest was a thriller, coming down to a walk-off touchdown by K-State. Iowa State returns starting quarterback Kyle Kempt, starting receiver Hakeem Butler and its top two running backs, Mike Warren and David Montgomery. The Wildcats and Cyclones will battle it out for most of the game, but a defensive touchdown from the Wildcats later in the third quarter will seal the deal. Prediction: K-State closes the regular season out with a 23-14 victory over Iowa State.